I am sure I am well behind a lot of you guys as far as the first ride of 2012 is concerned. (Especially those who have the luxury to travel to exotic places on the other side of the equator ) But in our latitudes, you normally don't get to ride much before end of April. With the exceptionally warm weather the last days, I was able to spool the odometer digits above 500 miles already for the year. Although none of my CBXes is road-ready yet. And we are doing a little track time this wekend with a few guys to blow away some of the cobwebs! Let's hear what you have been doing! Here in Greece, winter (just like the economy), has been really harsh. So, uncharacteristically, I had my 1st ride of the year only last Sunday when temperatures nudged to just over 15'C for the first time. As the CBX is still sleeping, I took my 76 GL1000, followed by my good friend Nicos on his Ducati 750 GT. A wonderful ride from Athens to the historic city of Argos in the Peloponnese, and back. Can't wait to do the same on the Z, any day now!!! 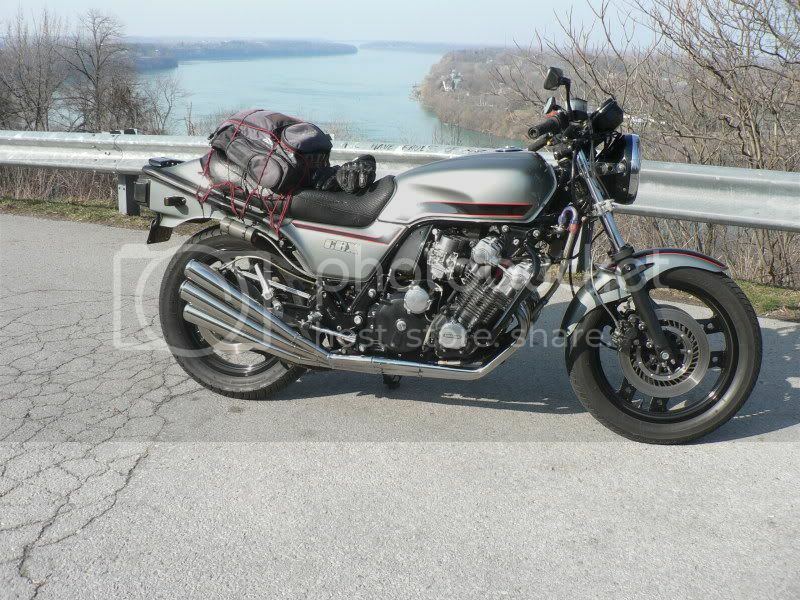 I took my freshly rebuilt CB900F out for its inaugural run. Logged over 200 miles on it. I rebuilt the motor over the winter with a 985 Wiseco kit, replaced a burnt valve, lapped all valves, replaced valve seals, and degreed the cams. Runs sweet!! Can't wait til it is broken in!! 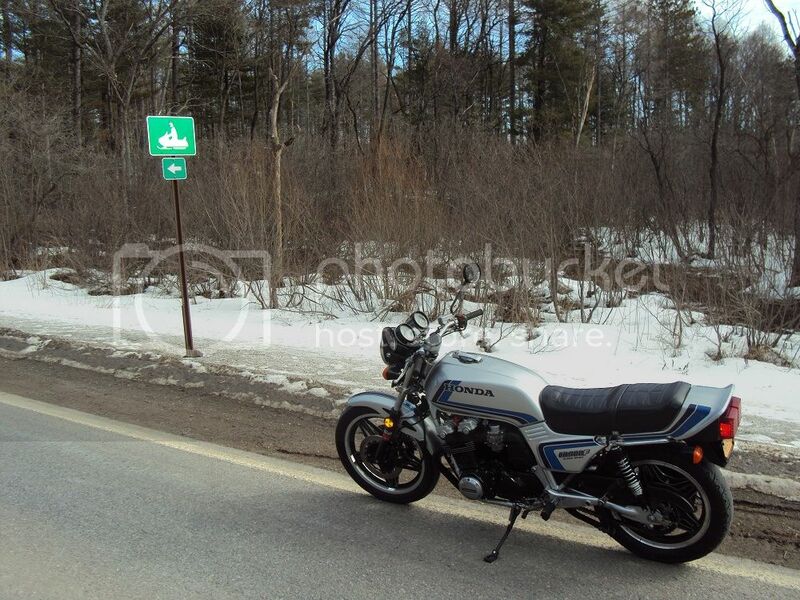 SteveG, That CB900F looks really great against the snow! Looks like your winter project turned out really good. Glad you also had a good first ride. 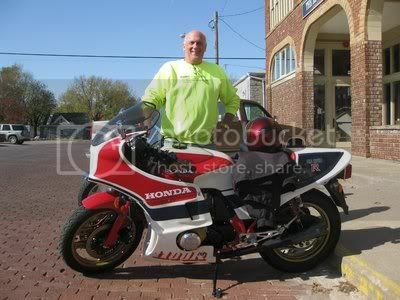 Like our good friend in Chanute, KS, I have enjoyed great weather in VA and been riding off and on all winter. I did do a 265 mile jaunt this past Monday and rode some of the famous Skyline Drive. The best part was you could really see beyond the road as the leaves have not budded out yet. Out today for the first time...fantastic! 150 miles going nowhere in particular. The Niagara Parkway was surprisingly quiet. You are all very cruel men. You mock me with your, most perfect, mounts, sunny weather., and glorious free time. This is a CBX (yummy) forum and we should use it for this purpose. I had such a wonderful first (errr ... second) ride this year on my GL 1000 with my friend Nico on his Ducati 860, that I need to share with all of you. You, who understand the magic of a ride when the roads are right (almost deserted!!! ), the sun is right, the temperature is right, the humidity is right, the carburation is right, the company is right, and another may be 100 things which are right. The picture was taken by the fishing village of Myloi, 165 Km from home in the Peloponnese. Behind us and across the Argolic gulf stands the historic city of Nafplion, 1st capital of Greece many years ago. Thanks for the hospitality, next ride (soon!!!) will be on my still hibernating, fully winterised Z. Promise. Ok, you guys have some really awesome bikes! Be happy and ride safe my friends. 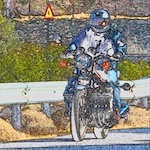 Kool_Biker wrote: next ride (soon!!!) will be on my still hibernating, fully winterised Z. Promise. The week has come and gone, and it is Saturday again! Time to wake up the Z.
Connect battery, pull choke, fuel tap to on, kill switch to off, ignition on, press starter button till the oil pressure lamp goes off, kill switch to on, touch the starter and off we go! Properly winterised, my Z came back to life as if it was running yesterday. And what a glorious day for a quick ride to Khalkis, ~80 Km north of Athens. Wonderful 1st, er, 2nd ride of the season towards Kineta, a seaside village in the Saronic Gulf, west of Athens on way to the Peloponnese. Can we all have some of yours? Having my first ride(s) behind me for this year, I am on my way to Europe for business. Managed to be able to set two days aside for motorcycle riding. May be some exotic stuff. Let's see what I can report upon my return week after next. 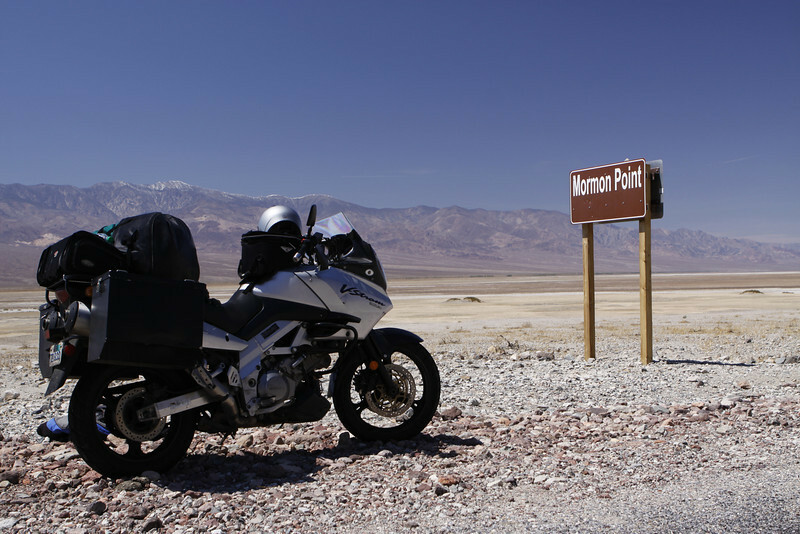 I have done the Death Valley 3 times. And every one of them I remember as if it was only yesterday. An amazing place indeed! Nils, can you please post a clip of you mounting your steed. No way i could have got on that thing even in my early days.